Mammut Barryvox is a classic name in the digital transceiver realm. However, this beacon is not the same old transceiver your uncle used. It has been completely revamped with the intention of being the simplest and most user-friendly beacon to date. Mammut nailed it. The user interface has been improved so one button handles all navigation through the concise menus. The exterior switch has been designed to prevent unwanted mode changes. The large, back-lit screen is easy to read, even if wearing polarized goggles. A 70-meter range and blazing processing speed means that searching is faster and possible from further away than all previous beacons in its class. Improved signaling helps better prevent overlap and eases handling in multiple burial situations. 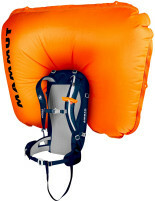 The package is rounded out by one of the nicest harnesses (+90g) on the market. 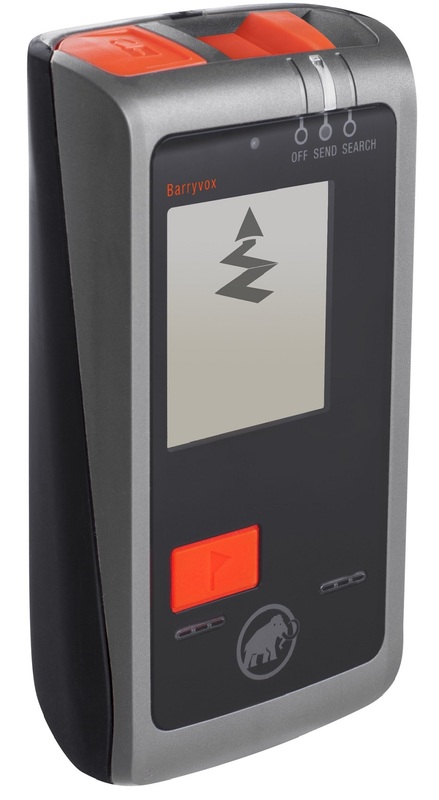 If you want easy, fast, and effective, add the Mammut Barryvox beacon to your cart. 70m digital search radius so you can find your friends fast. Acoustic and visual guidance makes navigation a breeze. Large 2" back-lit display can be read by the sun or moon. Group check function eliminates forgetful partners. Safelock switch prevents accidental switching. Can you get dog collars? To locate your dog under ground? Hi Brian, yes we can get the Pieps TX 600 transmitter for dogs and equipment. Send us an e-mail to help@skimo.co and we'll get you sorted.